get an overview of who is participating on the platform and how. 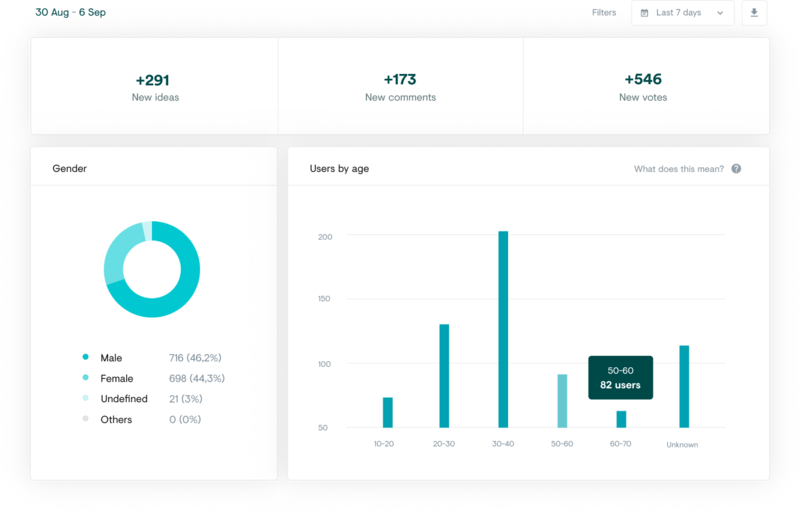 The dashboard gives you insights on the participants: their gender, age where are they are from, etc. See which idea gets the most attention and drives the discussion thanks to an engagement score given to each proposal. 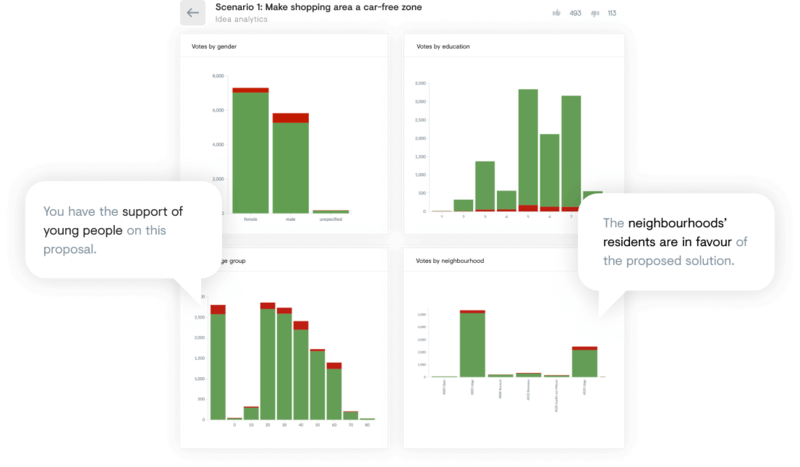 Receive data and insights specific to the citizens proposals. Simply export the input of your citizens to process it and take the analysis one step further: they are yours. Ask your citizens exactly what you want to know about them. 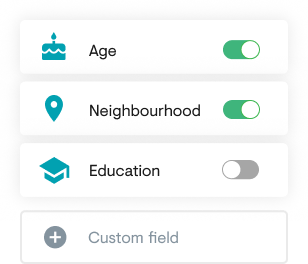 You can easily add, edit, activate any registration field when you need it. Integrate your citizen engagement platform with the tools you already use and make use of your data wherever you need it. 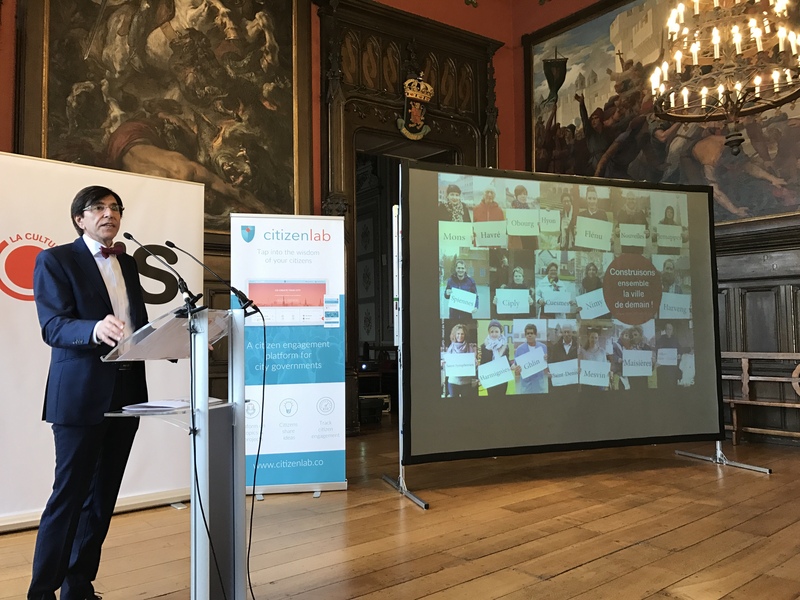 Sort citizens ideas and allow the right groups to work on them so that administration departments can have all the relevant input directly at their disposal. The platform will help you detect the topic of each idea.